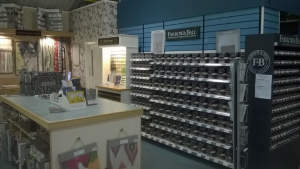 Once in-store, you’ll find a great variety of paints, wallpapers and other decorating products. You’ll also find that our long-serving staff – the manager has been here for 40 years and our other staff’s combined experience exceeds another 30 years – will give you a warm welcome and the benefit of their expertise. You can get help with design ideas, wallcoverings, fabrics and blinds. If you can’t find what you’re looking for in stock, we’ll do our best to source it for you. 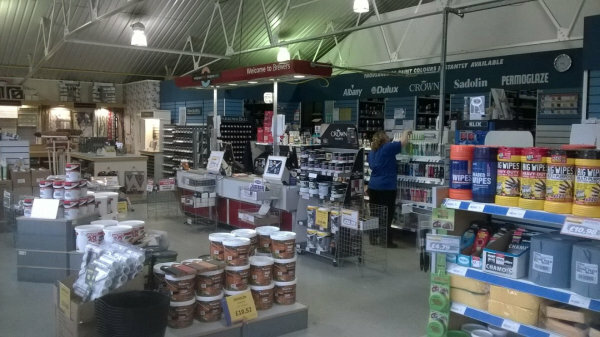 The Weymouth Decorator Centre is in the old Bride Valley car showroom – so there’s plenty of parking on the old forecourt. We can be found on Dorchester Road next to London Lounge furniture store and opposite the famous Old Spa pub. Look for the blue Brewers totem sign as you come towards the branch and you can’t miss us. You can also bring your children and still have time to browse, as we have a dedicated kids’ area to keep them happy. Follow the Weymouth Relief Road until the Manor Roundabout, take the first exit onto Dorchester Road and follow this road for a while until shortly passing the turning of Hetherly Road the store will be on the left. 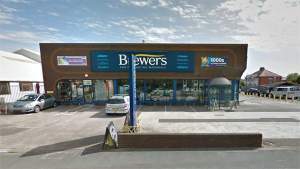 Follow Dorchester Road Southbound until reaching the Manor Roundabout, take the second exit and carry on following Dorchester Road for a while until shortly passing the turning of Hetherly Road the store will be on the left. Follow Weymouth Way Northbound until reaching Manor Roundabout and then take the third exit onto Dorchester Road and follow this road for a while until shortly passing the turning of Hetherly Road the store will be on the left. Follow Dorchester Road Northbound, the store is located on the right after the turning of Monmouth Avenue.